The 1996 NATO Advanced Study Institute (ASI) followed the international tradi- tion of the schools held in Cargese in 1976, 1979, 1983, 1987 and 1991. 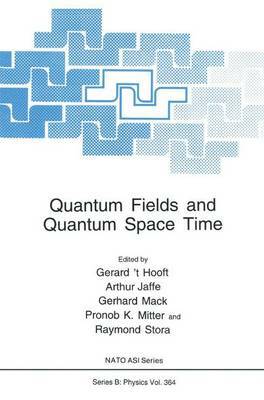 Impressive progress in quantum field theory had been made since the last school in 1991. Much of it is connected with the interplay of quantum theory and the structure of space time, including canonical gravity, black holes, string theory, application of noncommutative differential geometry, and quantum symmetries. In addition there had recently been important advances in quantum field theory which exploited the electromagnetic duality in certain supersymmetric gauge theories. The school reviewed these developments. Lectures were included to explain how the "monopole equations" of Seiberg and Witten can be exploited. They were presented by E. Rabinovici, and supplemented by an extra 2 hours of lectures by A. Bilal. Both the N = 1 and N = 2 supersymmetric Yang Mills theory and resulting equivalences between field theories with different gauge group were discussed in detail. There are several roads to quantum space time and a unification of quantum theory and gravity. There is increasing evidence that canonical gravity might be a consistent theory after all when treated in. a nonperturbative fashion. H. Nicolai presented a series of introductory lectures. He dealt in detail with an integrable model which is obtained by dimensional reduction in the presence of a symmetry.